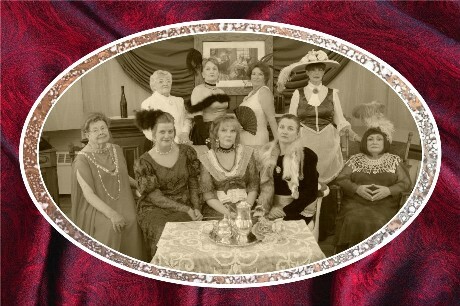 The popular “Madams of Central Colorado” will return to the Buena Vista Heritage Museum in 2017. Advanced reservations are recommended since this show tends to sell out. From Cockeyed Liz, whose former Palace of Joy is less than a block from the museum, to archrival Belle Brown, Salida’s Laura Evans, and Lillian Powers of Florence, the madams and their girls discuss how they got into “the business” and other aspects of life as a fallen woman at the turn of the last century. Although the subject matter is touchy, the performers keep the discussion as tasteful as possible, focusing on educational and historical aspects. However, no children under 13 will be allowed. Seating is limited. Tickets are $15 and are available at the Buena Vista Chamber of Commerce and the museum; BV Heritage members receive a discount. Doors open 30 minutes early for seating and entertainment. Many local women have donated their time for the performances and enjoying sharing their knowledge. Check back to see where they will be traveling! Proceeds benefit Buena Vista Heritage, a nonprofit organization whose mission is to preserve and share the history of Buena Vista and Chaffee County. For more information, call 719-395-8458 or 719-395-6612.